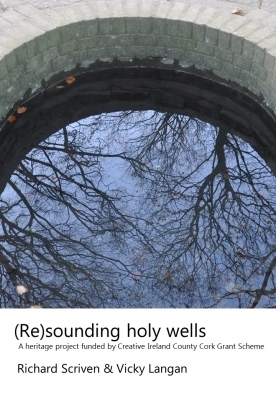 (Re)sounding holy wells is an artistic and cultural heritage project being led by Vicky Langan, independent artist, and Dr Richard Scriven, Department of Geography, UCC, to imaginatively explore holy wells in Cork through workshops, audio recordings, and oral histories. It is being funded by the Creative Ireland County Cork Grant Scheme under the community participation strand of the Creative Ireland Programme 2017-2022. Using a collaborative approach with both primary schools and community heritage groups, the project will examine and highlight the roles of holy wells as cultural amenities and sites of vernacular heritage. Fresh understandings of the wells will be produced through the use of audio by combining field recordings with accounts of the holy wells from young people and community members. Participative workshops and performances will be advertised in local media and online; also, all materials will be available on a forthcoming website. Vicky Langan is a Cork-based artist whose practice operates across several overlapping fields, chiefly performance, sound, and film. She has gained bursary awards from Cork City Council and the Arts Council of Ireland. She has also been awarded a residency at the Centre Culturel Irlandais, Paris.